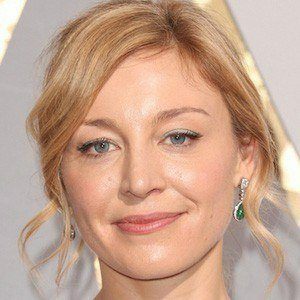 Known for her roles in such Shakespeare's Globe Theatre and Bridge Project productions as The Winter's Tale and As You Like It, this Obie-winning British stage actress also earned a Lucille Lortel Award nomination for her portrayal of Desdemona in the 2009 New York production of Othello. After earning an honors degree from the famous Royal Academy of Dramatic Art (RADA), she starred as Medea in the Union Theatre's London production of Bash: Latterday Plays. She produced a 2013 film version of the Anton Chekhov play The Seagull. Born Juliet van Kampen, she grew up in London, England, as the stepdaughter of the renowned British actor Mark Rylance. She married American stage and television actor Christian Camargo in 2008. She co-starred with Ethan Hawke in the 2012 horror movie Sinister.